I attended ComicCon again this year, and addition to the wild costumes, crowded exhibit hall, and over-priced food, there are a series of sessions. They cover television, movies, and print in a wide variety of markets. And I like the sessions that aren’t associated with popular media (as waiting in lines is something I’m fairly averse too). One I saw this year (not all of, for several reasons) was particularly thought-provoking. As background, when I was approached by the Australian Children’s Welfare Agency, many years ago, to do a game to help kids who grow up in ‘non-parental’ situations, they’d already spent their money on a video, and a comic book, and a poster. As far as I know, it was the first serious game you could play on the web (and I’m happy to have that disconfirmed, but as I’ve thought about it and tried to find out to the contrary, I haven’t found to the contrary). And back then we didn’t even have the label ‘serious game’! And I’ve been a fan of serious games since before then (my first job out of college was designing and programming educational computer games). In fact, one of the reasons I went to grad school was because I saw the connection between adventure games and learning, but it wasn’t clear they were commercially viable (at that time). But I didn’t think about the comic book much. I got a copy as part of the overall launch when the game was released along with the other materials, so I’m sure I read it (it may even be lurking somewhere in a cubbyhole somewhere, though could also have been the victim of a move or a tidiness binge). And I’ve argued before about how graphic novel and such formats aren’t used enough in learning. So this session was on serious comics, and it of course resurrected those thoughts. One panelist opened about how they were using comics to spark reading, and I was reminded how apparently the original Pokemon games (not Go, though that was obsessing my kids on the trip) required and consequently sparked lots of reading. The second speaker introduced how he was using comics to spread STD/HIV awareness. These are actually both serious issues. Of course, I was also reminded of an interactive comic book I once read on my iPad that had games interspersed that advanced the storyline (I couldn’t finish because I couldn’t complete one of the games: I’ve little time to spend developing the necessary ‘twitch’ skills). However, more serious games, requiring applying the knowledge available through the comic, could provide an embedded practice environment. It’s sort of a blend between a pure comic and a pure game, for important outcomes. And this is very doable in ebook formats, even if the ‘game’ is just a mini-scenario or several, but with HTML 5 embedded you could do more. I once wrote that in the future there would be lots of little interactive ‘learnlets’ that would teach you anything you needed to know (including how to make learnlets ;) and games or even interactive comics are what I meant and what could be pretty close to ideal. It’s been doable for a while, but now it’s doable pretty much with commercially available tools (e.g. not requiring custom programming). We can make learning ‘hard fun’, and we should. So, what are you waiting for? I’m doing two webinars for a government agency, one at the end of August, and one at the end of September. I’ll be in Beijing running a mobile learning workshop on the 6th of September, and keynoting the CEFE conference on the 7th. The week after I’ll be keynoting a private event in Connecticut. And I’ll be delivering a virtual keynote for a different government agency in November. I’ll be running an elearning strategy (read: Revolution) workshop at DevLearn in Las Vegas come mid-November, and presenting on elearning myths. Then, on the very last day of November, I’ll be running an elearning design workshop at Online Educa in Berlin. So, some availability in late September through October, or mid-December, if you’d like access to Quinnovation as well. I hope that if you’re near Beijing, Las Vegas, or Berlin, you’ll be attending. If so, say hi! Of late, I’ve been talking about the approach organizations take to learning. It’s come up in presentations on learning design, measurement, and learning technology strategy. And the point is simple: we’re not using the right basis. Which would be well and good except that this approach has a very low likelihood of affecting anything except perhaps our learners’ patience (and of course our available resources). Orders for courses have little relation to the real problems, SMEs can’t tell you what they actually do, content 0n a screen doesn’t mean learners know how to or will apply it, and a quiz isn’t likely to lead to any meaningful change in behavior (even if it is tarted up with racing cars). The closer you are to the former, the better; the closer to the latter, the more likely it is that you’re quite literally wasting time and money. Faith may not be a bad thing for spirituality, but it’s not a particularly good basis for attempting to develop new skills. I’ve argued that learning design really is rocket science, and we should be taking an engineering approach. To the extent we’re not – to the extent that we are implicitly accepting that a course is needed and that our linear processes are sufficient – we’re taking an approach that very much is based upon wishful thinking. And that’s not a good basis to run a business on. 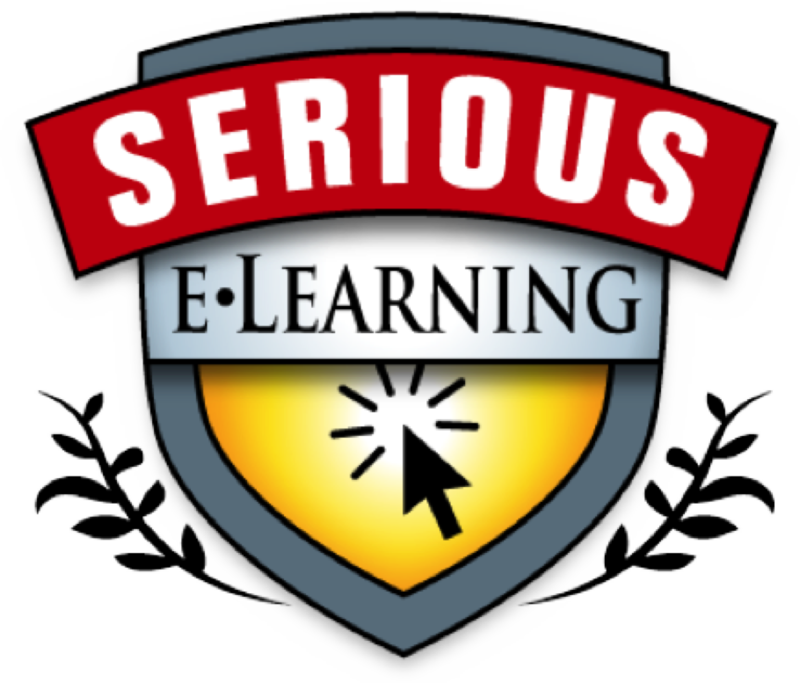 It’s time to get serious about your learning. It’s doable, with less effort than you may think. And the alternative is really unjustifiable. So let’s get ourselves, and our industry, on a sound basis. There’s a lot more we can do as well, but we can start by getting this part right. Please? Last week I ran a workshop for an online university that is working to improve it’s learning design. Substantially. They’re ramping up their staff abilities, and we’d talked about how I could help. They have ‘content’, but wanted to improve the learning design around this. While there are a number of steps to take (including how you work with SMEs, the details you attend to in your content, etc), their internal vocabulary talks about ‘knowledge checks’ and the goal was to do those better as they migrate existing courses to a new platform with a suite of assessment types. So, first of all, my focus was on formative evaluation. If we take activity-based learning seriously, we need to ensure that there are meaningful tasks set that can provide feedback. They are fans of Make It Stick (mentioned in my Deeper eLearning reading list), so it was easy to help them recognize that good activities require learners retrieve the information in context, so each formative evaluation should be a situation requiring a decision. Ok, so not every formative evaluation should be such a situation. But for things that need to be known by rote, I recommend tarted-up ‘drill and kill’. And it became clear, they’re fine at developing standard knowledge checks, it’s the more important ones that needed work. I started out reviewing the principles, not least because they had a larger audience they wanted to appreciate the background being applied. Then we moved on to more hands-on work. First we worked through the different types of assessment types (moving from true/false to more complex assessments like ‘submit and compare’). We then proceeded to review a first pass to understand the overall course requirements and likely important milestone assessments. We concluded by working through some examples of tough challenges (they’d submitted) and workshopping how to revise them. There was more behind this, including my understanding more of their context and task, but overall it appeared to develop their understanding of how to take formative evaluation and turn it into an opportunity to truly develop learners in ways that will benefit them after the learning experience. Of course, focusing on decisions was a key component, and we visited and revisited the issues of working with SMEs. This included getting contexts, and how exaggeration is your friend. The result is that they’re much better equipped to develop ‘knowledge checks’ that go far beyond knowledge, and actually develop skills that are critical to success after graduation. This is the type of thinking that organizations from K12 through higher ed and workplace learning (whether corporate, not-for-profit, or government) need to adopt if they’re going to move to learning experiences that actually develop meaningful new abilities. It’s also about good objectives and more, but what the learner actually does, how they are required to use the knowledge, is critical to the outcome. So, are you ready to make learning that works? As a personal reflection, the value of checklists and forcing functions can definitely be understated. As I mentioned, last week I went into the woods for a few days. And while the trip didn’t live up to our plans, it was a great experience. However, there was a particular gap that points out our cognitive limitations. So, I have a backpacking checklist. And I look at it from time to time. What I didn’t do this time was check it before the trip. And I found out once I got away from home was that I’d forgotten both my bandana and my towel! Both are useful, and while I was able to purchase a bandana ($15! but it is microfiber and large, so I’ll keep using it), I had to do without the towel (which the bandana was a poor but necessary substitute for). We often swim or wade in the river (and did this trip too), and a towel’s handy to get dry before the breeze chills you or the horseflies descend. The bandana, well it served as a sun cover, mosquito deterrent, towel (see above), and glasses wipe. Amongst others. Let me add that I almost left on today’s overnite biz trip without my sleep clothes! Fortunately, I had one of those middle-of-the-nite epiphanies, and remedied this morning. And this just isn’t a consequence of advancing age (hey, I’m still [barely] < 60!). It’s a natural consequence of our cognitive architecture, and we have well-established processes/tools to support these gaps. These include checklists to help us remember things, and forcing functions whereby we place things in ways that it’s hard to forget things. As a consequence, I’m going to do two things going forward. One is to make sure I do check my checklist. I’ll review it for comprehensiveness in the meantime, and have developed it in conjunction with another list from an experience colleague. I have another wilderness trip, and I’ll definitely check it beforehand. Second, I’ve now put the bandana and a towel in my backpack. So I’d actually have to take it out to forget it! Here’s to knowing, and applying, tools to help us overcome our cognitive deficits. What are you doing to help not make mistakes? And what could you do similarly for your learning design processes? I get asked to view a lot of things. And sometimes, particularly when there’s a potential tangible relationship, I will actually go visit sites. (BTW, I tend to avoid what comes unsolicited, and instead trust to what comes through my social network.) And one of my strategies often fails, and that, to me, is a warning sign. When I go to sites (not from familiar companies, but new ones), one of the places I’m very likely to visit is the ‘About Us’ page or equivalent. There’s a reason I do that: I want to know something about who is behind this, and why. They’re linked, but separable. There’re a couple of reasons to be clear about who’s behind this. One is for authenticity: is there someone willing to put their name to what this is and what it’s about? And why them? What background do they have that makes them credible to be the ones behind this endeavor? And the why is about what motivates them? Are they doing this because of a passion, or because they think it’s a good business opportunity? Either’s acceptable, but what you want is coherence between the people and what they’re doing. Ideally, it’s a good story that links them. There are sites that are clearly out to make money, and some that are out to meet a real need. There are some that have been created by folks who have an idea but not necessarily a clue, and then there are those created by those who should be doing it. And when you get both together, need and clue, you have a site you are willing to investigate further. It may seem overly harsh or naive, and I’m sure someone could spin a good story and fool me (and has ;), but I think this is a good heuristic, a good reality check, on any site that’s looking to interact with others. If my search fails to find the requisite information, my antennas start quivering, and my defenses go up. A personal opinion, of course. Do you agree? Do you have other checks that you like better? Eager to hear your thoughts. Our everyday lives are decreasingly connected to nature. We’re increasingly separated from the context we evolved in. Is that a good thing? Now, our relationship with nature hasn’t always been one of benevolent protection, as Roderick Nash has let us know. We lived dangerous lives until we developed the means to defend ourselves, and then the wilderness became an opportunity to expand and profit. Now, however, with wilderness diminishing, and a growing awareness of the value of wildness for serendipitous diversity, we are beginning to view wilderness as a precious resource. But are there reasons to consider wilderness benefits for our thinking and learning? The evidence appears to say yes. When we’re in wilderness with minimal risks, at least, the proximity to natural sounds and scenes seems to stimulate areas of the brain. It may take just a walk, or three days, but there are apparent benefits to heart and mind. I’ve tried to get out in the wilderness at least once a year. 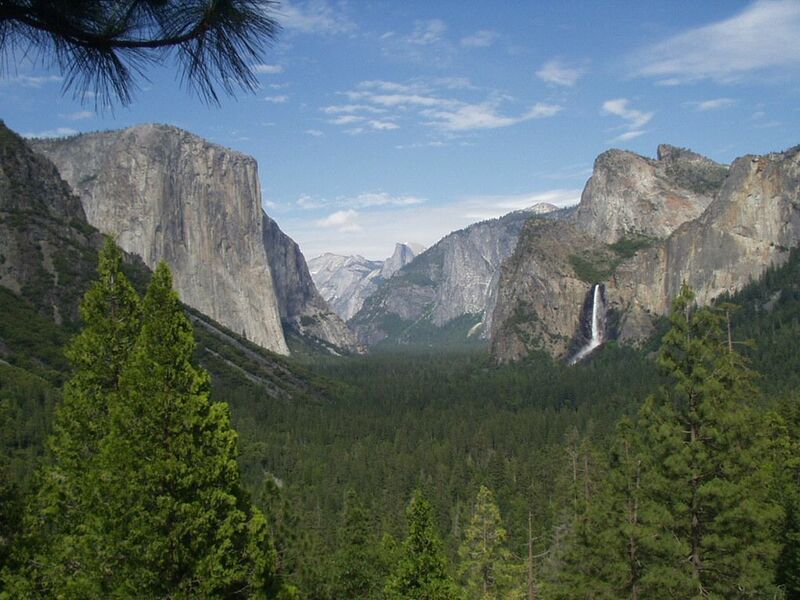 I like to hike, and in particular to get backpacking, of late with trips to Yosemite National Park. A friend/colleague/mentor has regularly organized these trips, and several of us will hike off with our tents, stoves, sleeping bags, water filters, bear cans, and everything else for 3-7 days and get above timber line, sweaty, dirty, and happy. It was on just such a trip where ‘Quinnovation‘ emerged as a branding! I’ve taken the family, too, to share my love of the outdoors. So, I’m off again, and we’ll see whether I come back charged with creativity (or just exhausted ;). Happy trails! We are announcing this inaugural award on 5 July, Jay’s birthday. 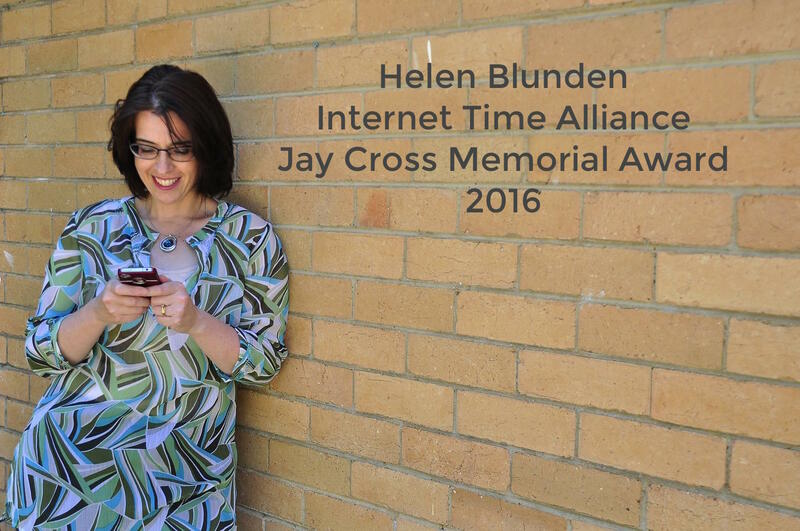 Following his death in November 2015, the partners of the Internet Time Alliance (Jane Hart, Harold Jarche, Charles Jennings, Clark Quinn) resolved to continue Jay’s work. 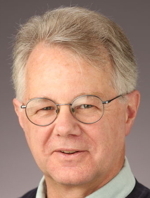 Jay Cross was a deep thinker and a man of many talents, never resting on his past accomplishments, and this award is one way to keep pushing our professional fields and industries to find new and better ways to learn and work.